Here I will share with you photos of Breyer Stablemate molds with the original finish horse (on left) and a customized model made from that mold. This page is a work in progress, so check back to see more molds and custom models. 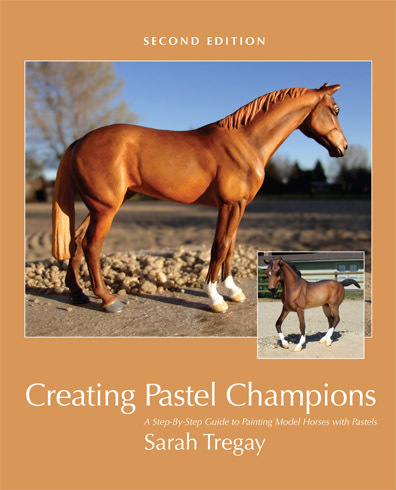 Looking for information about collecting original finish Stablemates? 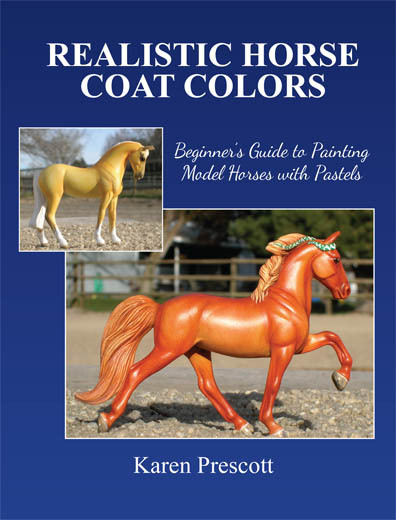 Visit Many Mini Hooves or Identify Your Breyer. Cantering stock horse (palomino) (G3) by Jane Lunger, 2007. This model was not in production very long due to cracks in the mold. Model courtesy of Kati Stupka. Standing Friesian aka Django by Josine Vingerling (G5) first released in 2016, pictured with custom Friesian gelding by Sarah Tregay. Running Thoroughbred (G2) by Kathleen Moody, first released in 1998. 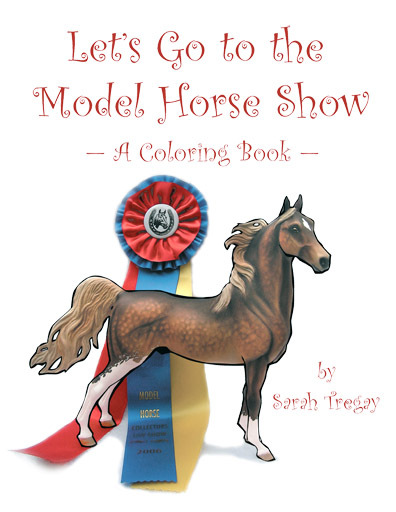 Customized to a Appaloosa Sporthorse. 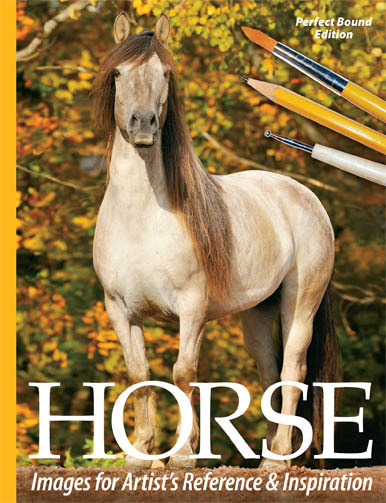 More than 275 images of horses from around the world. 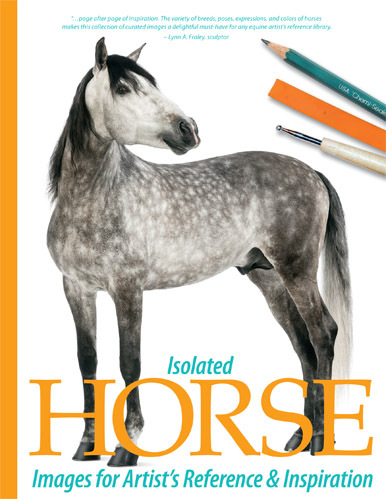 “'Isolated Horses:Images for Artist’s Reference and Inspiration' is indeed page after page of inspiration. 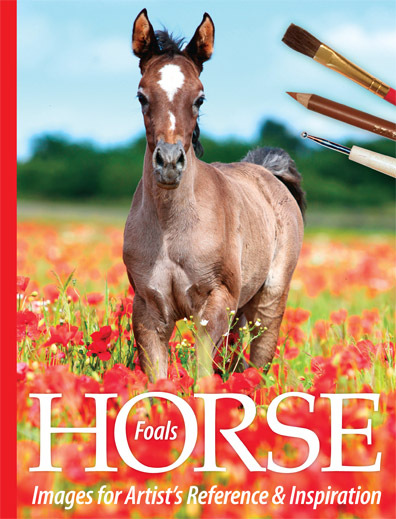 The variety of breeds, poses, expressions and colors of horses makes this collection of curated images a delightful must-have for any equine artist’s reference library." "[FAN ART IS] a breezy romance with just enough light drama to keep its feet on the ground." © Sarah Tregay 2016. All rights reserved.